Enjoy realistic impersonations of Marilyn Monroe and Elvis Presley in this musical extravaganza! Recommended! Tickets were picked up easily. The show was entertaining, well worth the price. It was fun to watch even with families. Don’t miss the photo session with the performers after the show. Experience a live performance like never before at the Calypso Cabaret Show! Over 25 years in the running, Calypso Cabaret continues its fine tradition of producing world-class entertainment featuring Bangkok's talented ladyboys. Get a taste for phenomemal song and dance numbers – in English, Korean, and of course, Thai – with performances choreographed in celebration of diversity and variety. You don't want to miss out on incredible Marylin Monroe and Elvis Presley impersonations, extravagant burlesque performances, glamorous Thai dancing numbers – and more! 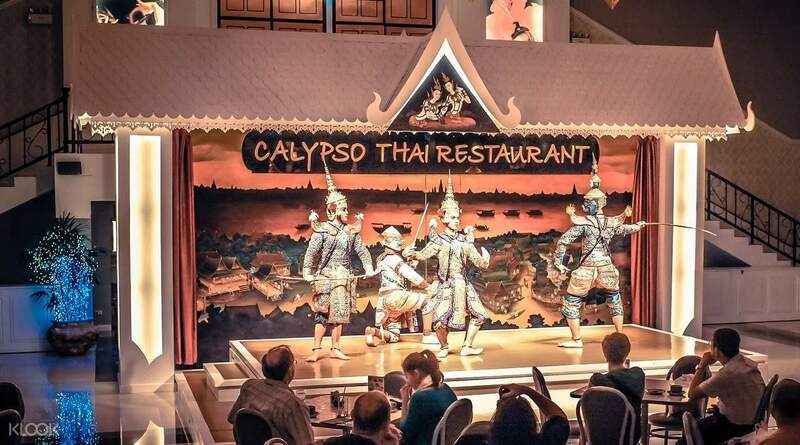 Reserve your dinner seat at Calypso restaurant to enjoy a delicious Thai meal while watching a traditional Khon dance performance before the cabaret show. Now hosted in the bustling dining and entertainment complex, Asiatique The Riverfront, Calypso Cabaret promises a night of enjoyment you won't forget. Enjoy a spectacular night of Cabaret! 1: it is easy to get to the place from city center by taxi. Quick and easy - takes about 30-40 mins. 2: the dinner was great! Every person get a set of food, which is delicious. The portion was decent as well. There was traditional Thai dance during the dinner as well. 3: Highly recommend. Very good value to family and friends trip. 1: it is easy to get to the place from city center by taxi. Quick and easy - takes about 30-40 mins. 2: the dinner was great! 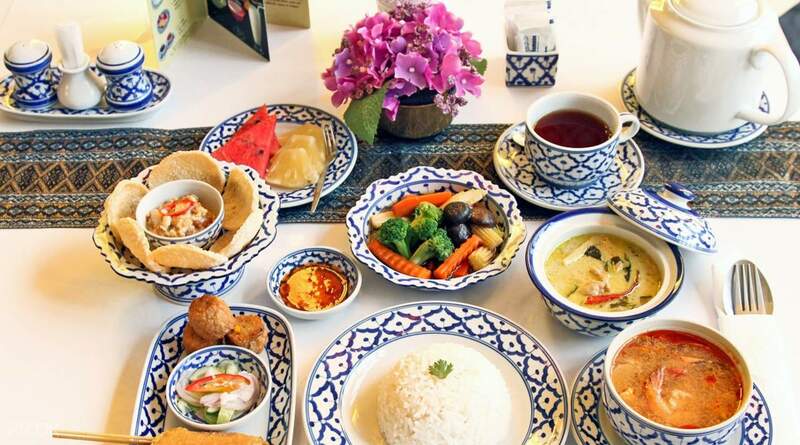 Every person get a set of food, which is delicious. The portion was decent as well. There was traditional Thai dance during the dinner as well. 3: Highly recommend. Very good value to family and friends trip. What a great experience at the Calypso Cabaret Show. We had Thai dinner first, while the Thai dance was being performed on stage, which was amazing. We then moved to the main theatre to watch the famous cabaret show which was full of entertainment. Thank you Klook. What a great experience at the Calypso Cabaret Show. We had Thai dinner first, while the Thai dance was being performed on stage, which was amazing. We then moved to the main theatre to watch the famous cabaret show which was full of entertainment. Thank you Klook. This was my Birthday Finale! I booked this ticket a couple of weeks before my trip, and I when I got there, I was assigned second row tickets! Booking the ticket and claiming it from the booth. The show was amazing! This was my Birthday Finale! I booked this ticket a couple of weeks before my trip, and I when I got there, I was assigned second row tickets! Booking the ticket and claiming it from the booth. The show was amazing! One of the best things to see in Bangkok. New and updated acts and very nicely performed by the actors. Book ticket one day earlier for good seats. One of the best things to see in Bangkok. New and updated acts and very nicely performed by the actors. Book ticket one day earlier for good seats. The show was fantastic!!! I really recommend this show. People of all gender are most welcome. The staff was very accommodating. The show was fantastic!!! I really recommend this show. People of all gender are most welcome. The staff was very accommodating. Super nice show. My hubby enjoyed a lot. Previously he thought the price is a bit high, after he watched the show, he appreciate all dancers hard job. Klook voucher can go counter to redeem a physical tickets before show start. Save a little compared to buy on spot. Super nice show. My hubby enjoyed a lot. Previously he thought the price is a bit high, after he watched the show, he appreciate all dancers hard job. Klook voucher can go counter to redeem a physical tickets before show start. Save a little compared to buy on spot. Q: What is the seating arrangement? A: You will be assigned seats when you redeem the tickets at the venue. Seating is available on a first come, first served basis.